"Ultrasonic testing of Hatch Covers"
For more than 45 years Sparks Surveyors delivers reliable survey and consultancy services to P&I Clubs, Shipowners, Charterers, Carriers, Insurers and Underwriters, Transport Companies and their Intermediaries as well as to the industry. 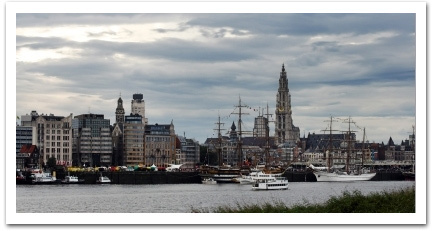 Sparks Surveyors is based in the port of Antwerp, Belgium but offers worldwide coverage. The team consists of well dedicated professionals, delivering high quality surveying and consultancy, combining their longstanding experience and appropriate education with a sense of efficiency and a commitment to high ethical standards. This results in fast accurate documented reporting during and immediately after completion of the mission.